Student and teacher reviews are sponsored by BookGorilla. Get deep discounts on premium bestsellers, plus free books for your kindle! Click here to join our thousands of happy subscribers. It’s free! Kids Corner @ Kindle Nation Daily Student Reviewer: Mya S.
I definitely recommend the book “Frankenstein” to others. 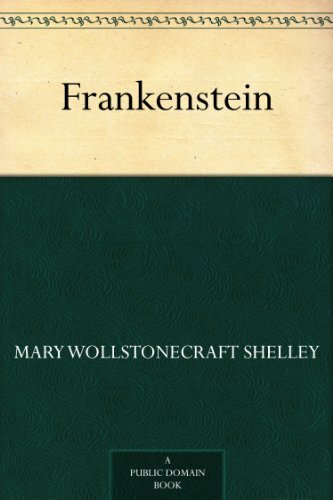 This book features a medical student named Dr.Frankenstein as the main character, and his journey through science. Dr. Frankenstein’s young life was filled with questions. He wanted to know why something happened rather than what happened. When he got to college he was interested in alchemy. He wanted to bring something alive from the dead. This book is very interesting. It will leave you with a interested and sensational feeling. “Frankenstein” is a very descriptive book. I had practically no questions on what was going on. The only thing I would change in this book is the length of the book and chapters. Ms. Wollstonecraft Shelley could have made the book and chapter length longer. Other than that one flaw, this book is flawless.